Rachana Sharir is a 1st year BAMS subject, here the students along with theory study Human body parts through dissection methods and become an open-minded researcher and an intelligent clinician. 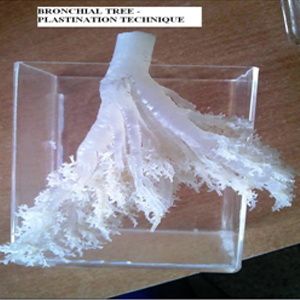 This department is equivalent to that of anatomy of modern medical science and it deals with anatomical aspects of the human body including histology, osteology, organology, etc. 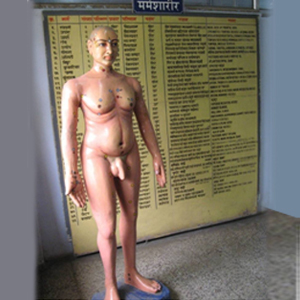 The Rachana Sharir subject comprises study of Normal body structures documented by Ayurveda and the Acharyas as well as the study of Modern Anatomy. Being the foundation subject, all the basic principles of Sharir (body) are incorporated within Rachana-Sharir. 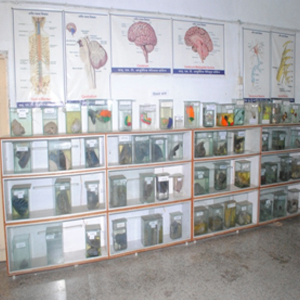 This department has a fully fledged dissection hall with facilities for cadaver preservation. It has a well preserved elegant museum with rare specimens and fine exhibits. The department also has an exclusive library. In the course of 1st year BAMS & MD of Rachana Sharir each and every student has to perform complete Dissection of Cadaver in a systematic manner during his part of curriculum. Rachana Sharir is an extremely dynamic and interesting subject to an inquisitive Practitioner and Researcher of Ayurveda. All the medical sciences require more or less basic knowledge of Rachana Sharir. Hence the study is indeed the most important of basic sciences of the life. 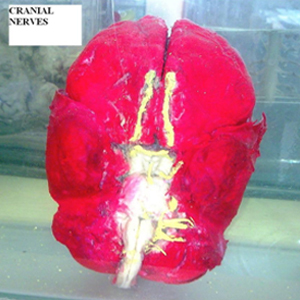 To train the UG and PG students the basic structure of human body with the help of dissection. To teach the knowledge of all the vital structures of Human body theoretically and practically. To acquire many cadavers for imparting proper education to the students. To raise the awareness of movement like Body Donation activity. The most exclusive feature of our department is well-equipped Dissection Hall with 15-16 number of Cadavers provided for Dissection to UG students and PG scholars. Every UG Anatomy practicle has around 40 students, thus 5 students dissect one body throughout the year. 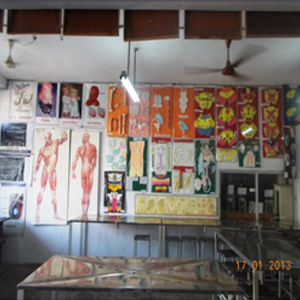 This helps the students to learn each and every details of the body. Each PG student gets to dissect 1 body throughout the year, thus he learns more about the antomy of the body and gains deeper knowledge about the subject. Our teachers inspire as well as demonstrate our students to develop charts, models and specimen mounting. Thus helps our PG students to become good acedemics. Special lectures and disections are organized for KARD (Ksharsutra in Ano-rectal Diseases) students. Our department is equipped with OHP, Laptops and Desktops. Our department utilizes modern techniques like Powerpoints and videos for teaching our students. Well qualified and experienced staff with PG teacher recognition to all the faculties. Fully equipped well developed and well-maintained exclusive Museum of Anatomy comprising specimens (300), models (150) and charts (200). Post graduation in this department started in 2010. 26-28 march 2012 organised by our department. 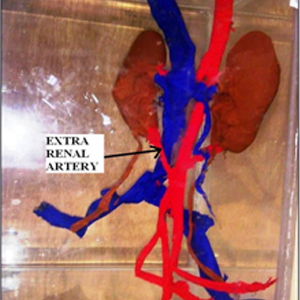 Study of Anatomical Changes in Coronary arteries WSRT Sushrutokta Hrutshula. To Elaborate Structure of Artavvah Srotas with Reference to Sharir Rachana by Vd. R K Patil in CRYSTAL – peer reviewed journal of complementary medicine. Departmental teaching faculties are also engaged in Social and ancillary activities. Tanks with a capacity to preserve 10 bodies. Cosmetic OPD successfully run by vd. Kranti Metkar and department since last 10yrs. 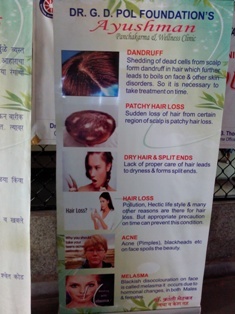 All problems regarding Skin and hair are dignosed & treated by Ayurveda. Internal medicines, face packs, hair oil etc are dispensed in opd. Opd is run on Tuesday and Friday. Site designed and developed by Emaginationz Technologies.